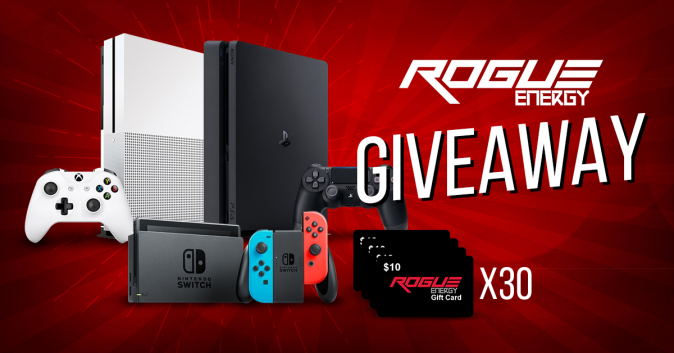 Rogue Energy is running another monthly giveaway to gift a couple of their fans with amazing gaming consoles! To enter in their latest Rogue Energy March Gaming Console Giveawaygrab your free entries by following few simple steps listed down below! The world’s most powerful Console. Games play better on Xbox One x. With 40% more power than any other Console, experience immersive true 4K gaming. Blockbuster titles look great, run smoothly, and load quickly even on a 1080p screen. Xbox One x also works with all your Xbox One games and accessories as well as Xbox live, the most advanced multiplayer network, giving you more ways to play. Broadband internet required (ISP fees apply). Winners will be contacted by email shortly after giveaway ends. Winners have to reply back within 48 hours of notification to claim the prize.